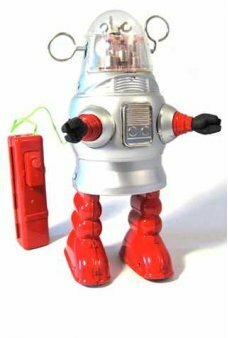 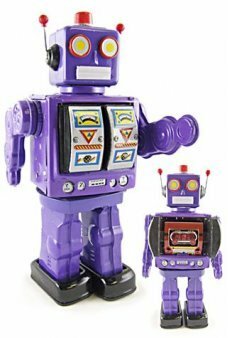 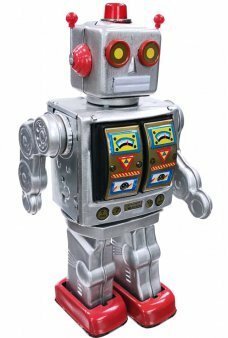 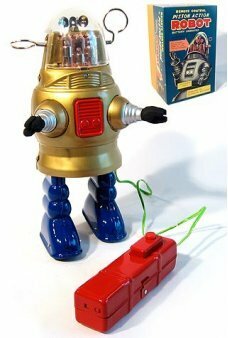 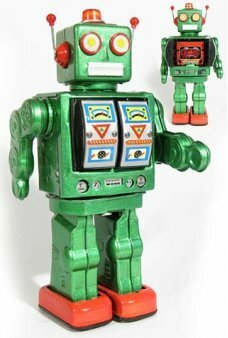 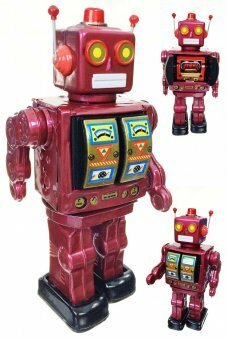 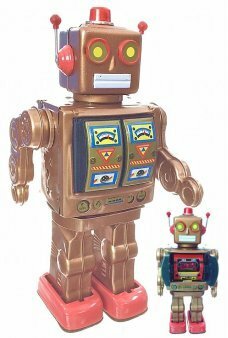 Some of the great tin toy robots introduced battery power to toys in the 1950's. 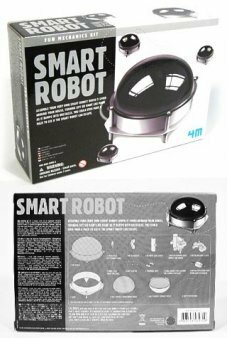 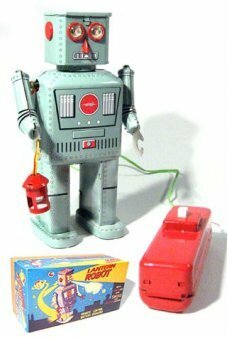 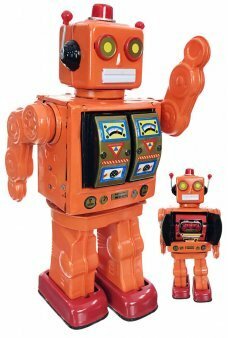 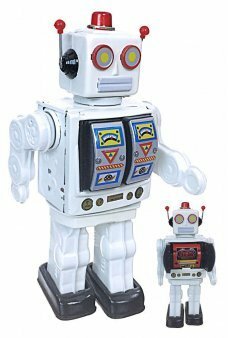 These large futuristic tin toys and robots teased children about the bright future with the idea of automatic machines and remote control robots. 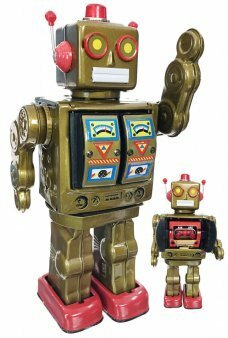 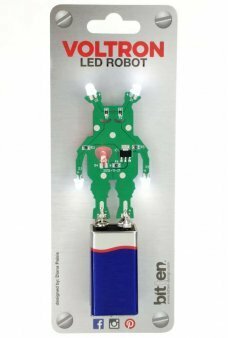 Mr Robot: the Mechanical Brain has a hidden power cell in his yellow head! 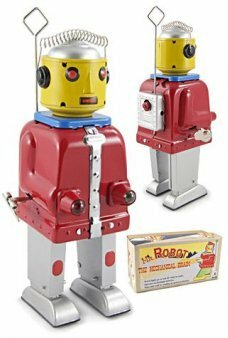 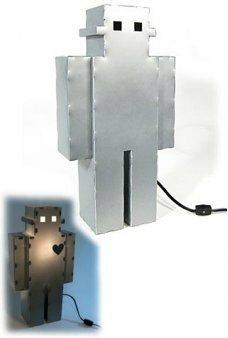 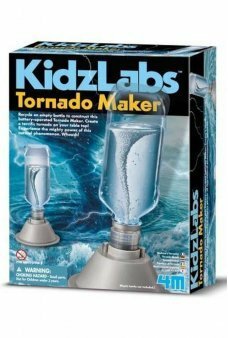 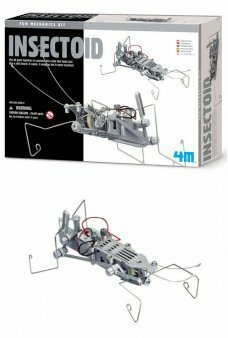 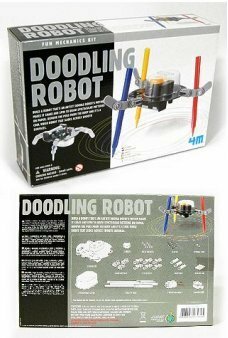 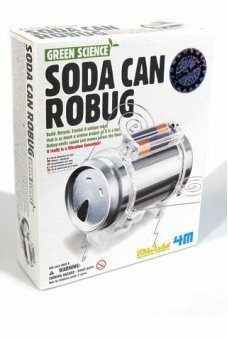 A clever Brain Battery and a Wind Up engine a..